This weekend my partner treated me to a relaxing night away in a beautiful hotel in the countryside, which was just what I needed after a busy few weeks in work! It was so ridiculously pretty that I needed to share my pictures with you guys. "Willington Lodge is home to the Morris family and has been carefully restored in the spirit of the original Georgian architecture, retaining original features and now offers luxury Bed & Breakfast guest bedrooms. Everybody has a warm welcome and is considered to be part of the family during their stay." First of all the house is as gorgeous in person as it is this photograph taken on their website, unfortunately when we arrived the weather wasn't so wonderful but the house looked cosy and welcoming. On arrival we were met by a lovely young lady (I forgot to ask her name, how rude am I?!) who was extremely welcoming and made us a fresh pot of tea straight away, she had also left us some homemade brownies, which she made herself in the morning which were absolutely divine and a lovely personal touch! "On arrival - A welcome tray offering a selection of teas, coffee, water and other goodies - Luxurious pure down duvets and pillows - Molton Brown toiletries are presented in your bathroom - Flat screen TV and fast Internet access - A selection of magazines"
We had booked The Gardener's Suite (£155.00 per night) which was attached to the house but separate to the where other guests were staying, with it's own parking and entrance making it perfect for some much needed peace and quiet. 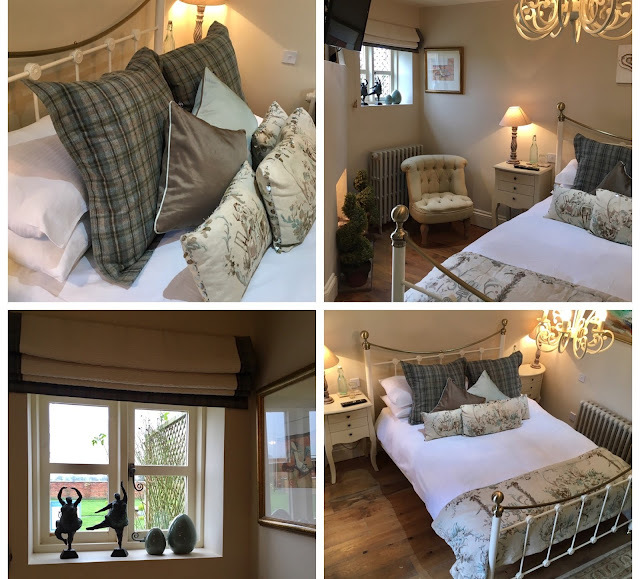 We opened the door to a big bed decorated with pretty cushions and the room had absolutely everything we needed, from supplies of teas and coffees, a silent fridge with fresh milk inside, bottled water and chocolates! 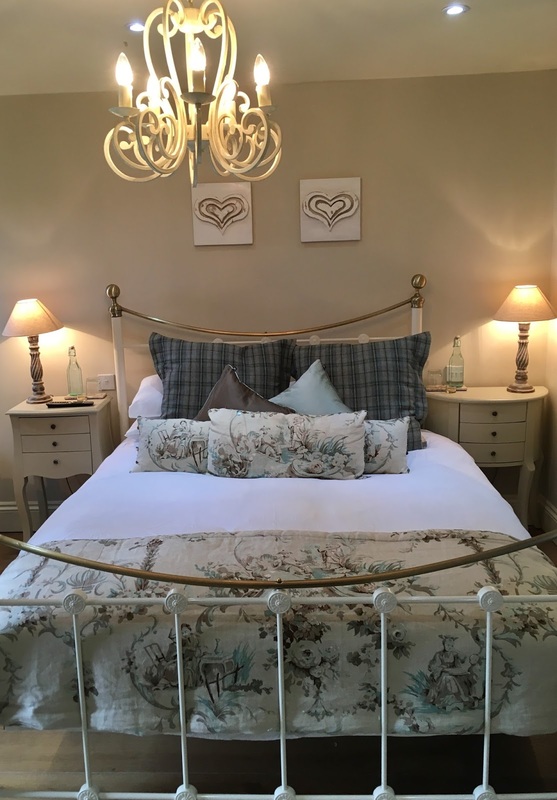 The decor was tastefully chosen making the room extremely cosy and welcoming and it was spotlessly clean! The Gardener's Suite is set on two floors and has a patio door leading out to a large shared garden. Obligatory arrival selfie on the left for you! In the corner of the bedroom is a spiral staircase leading up to an extremely gorgeous and massive bathroom, one I am envious of! 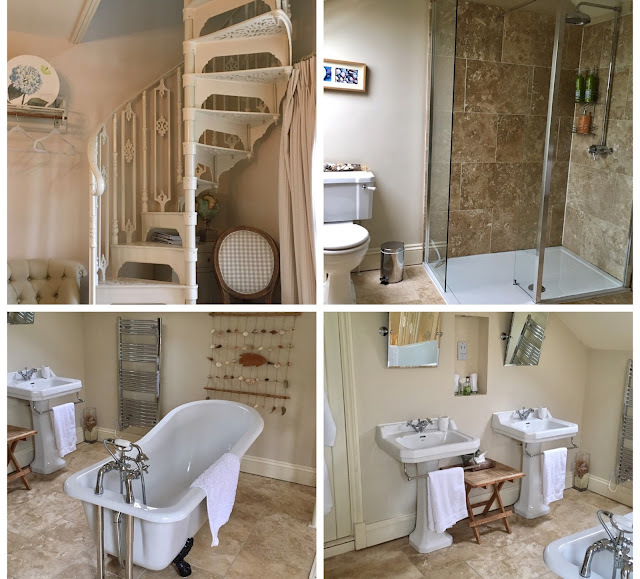 The bathroom has enough room for two people to get ready or relax in with ease and the stunning centre piece being a roll top bath! It was a nice change to have two sinks too - not having to share with your other half is great, I have taken note for when we decide to look for a bigger house! The bathroom, like the bedroom, is stocked with everything we needed - ear buds, face pads, face cloths, fluffy white towels and bath robes, oh and not forgetting the Molton Brown toiletries and Bed Head shampoo and conditioner (the beauty blogger in me always notices these things). So what did we do while were there? Explore the area? Nope. We went for some delicious food at a local pub, stopped in a shop on the way home for some treats and relaxed the night away! I took advantage of the roll top bath and brought some of my LUSH & Bomb Cosmetic treats (I posted about my Bomb Cosmetic treats HERE) and just enjoyed being in the beautiful surroundings. "After a night of peaceful sleep, the idea is that you awake refreshed, bouncing with energy, and hopefully hungry, to sample one of Pam’s Aga-cooked breakfasts. These are made with locally sourced ingredients, free range eggs and regionally grown produce, delicious !! A continental breakfast is also available if required, and vegetarian options. 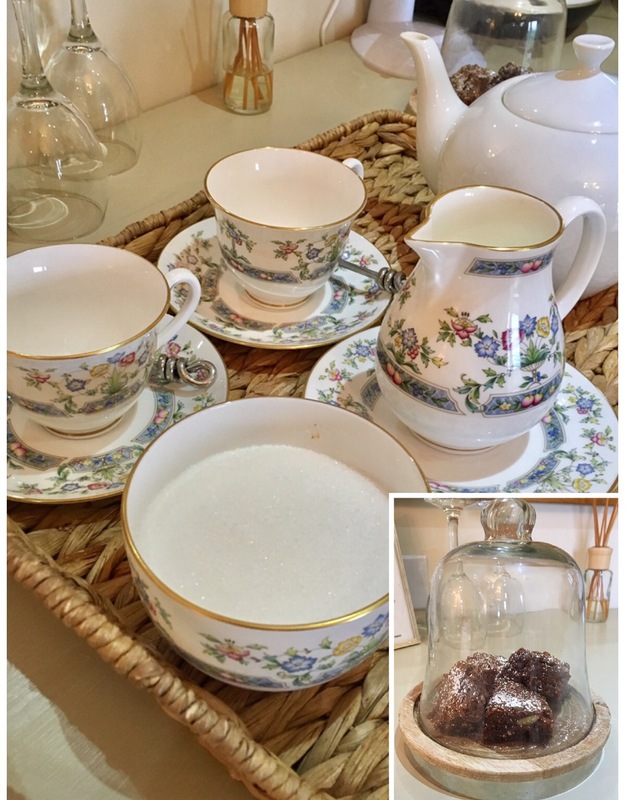 A selection of teas and freshly brewed coffee, fresh apple or orange juice. 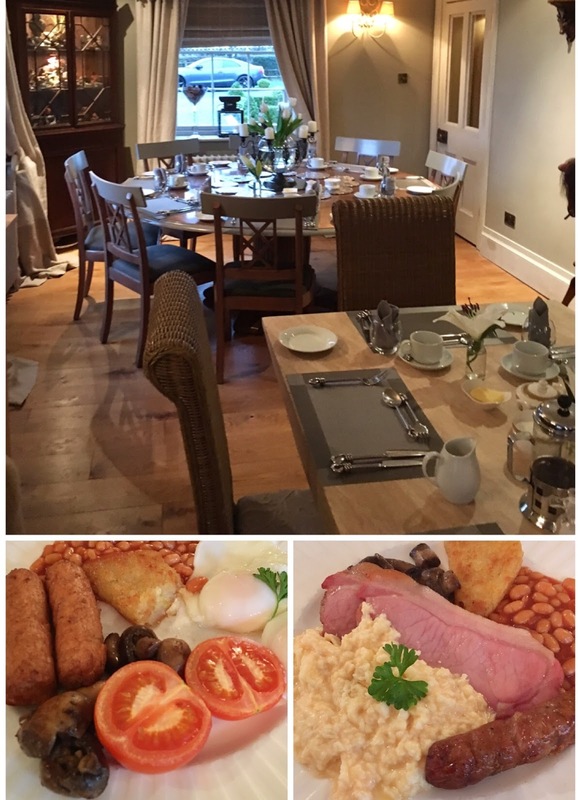 Breakfast is served in the dining room." When we arrived we were asked to fill out a form of what we would like for breakfast which had everything you could ever want for breakfast.....and MORE! Plus you could pick what time you wanted breakfast which I liked instead of just showing up between set times. 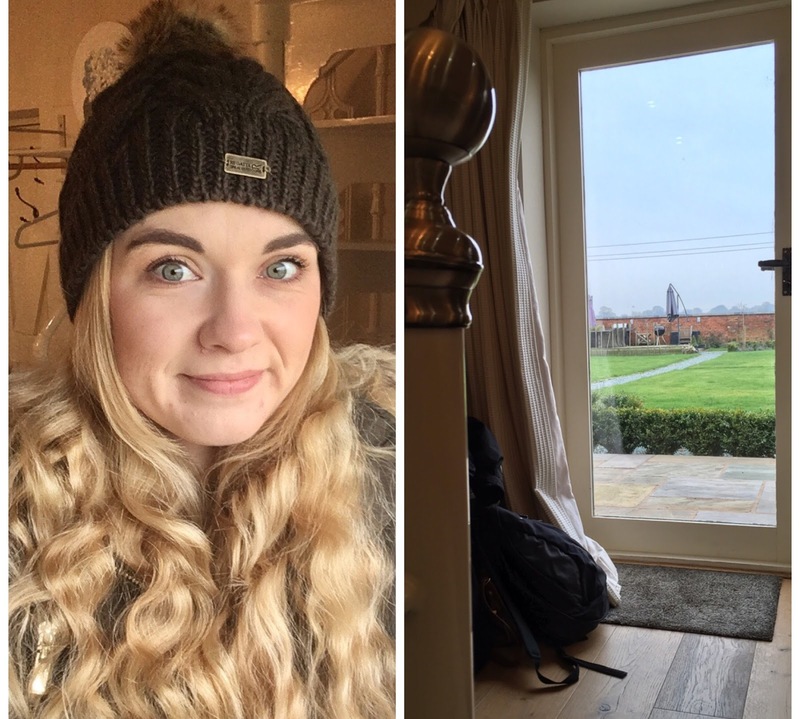 We woke up and went over to the house to be seated in a beautiful dining room with a crackling fire and windows looking out onto the rolling fields, it couldn't have been more chilled out! We had a delicious breakfast but the best part.....getting to meet this little beauty - Frank the French Bulldog - the hotels helper for the morning! I wanted to eat him.....OK, not literally but I definitely considered putting him in my handbag and taking him home with us, but I resisted! 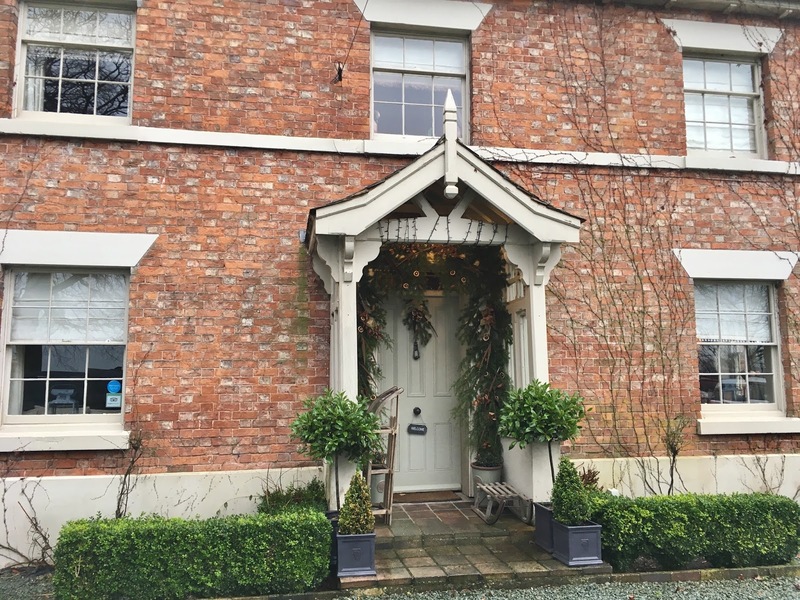 We had a lovely relaxing stay at Willington Lodge and I would definitely recommend it if you are visiting the Shropshire area! I noticed on their website that they cater for weddings too which I imagine would be a perfect setting for a small wedding! What a gorgeous place to stay! Love the free standing bath in particular.